Such is the case with this homemade pita bread recipe. I am in love. They are puffy and soft. I couldn’t get them all perfectly round, but they have awesome pockets and taste heavenly! 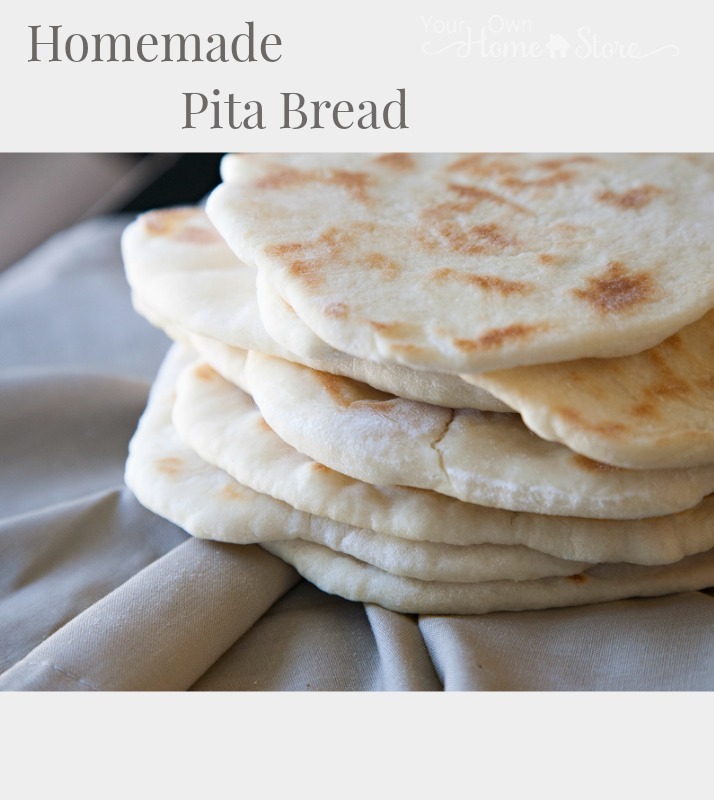 The recipe I used is from Tieghan at Half Baked Harvest, and Tieghan certainly knows how to make an amazing homemade pita! The only change I made was to decrease the salt and add a bit of sugar. I have made these four times since I found the recipe last month. We use them for everything. My kids love peanut butter sandwiches on pita, and I love just a touch of honey. 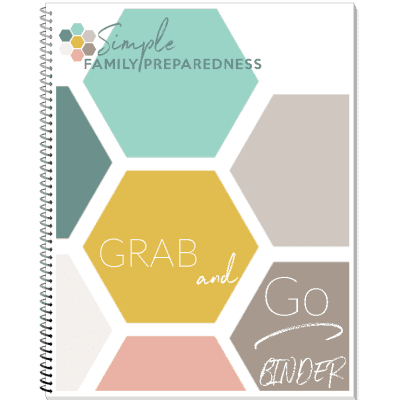 They are great for mini pizzas, chicken salad, hummus, and more. 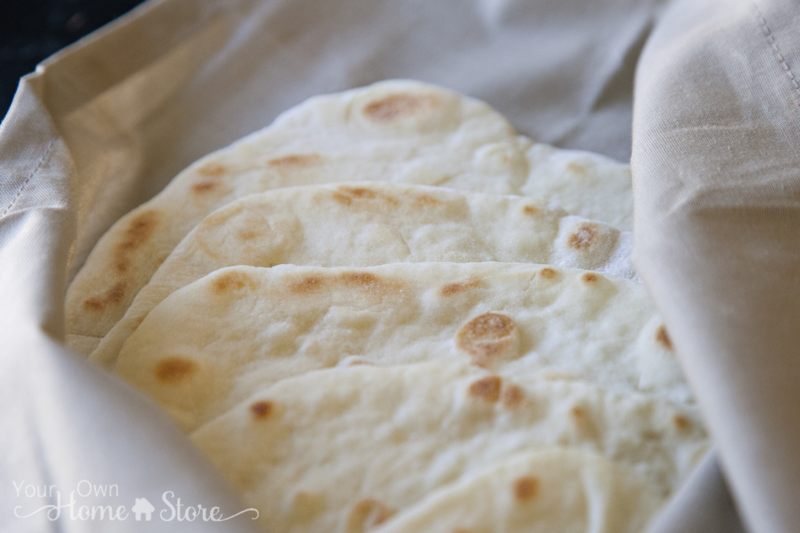 Plus, even if you have never made any kind of dough before, you can make these pitas. 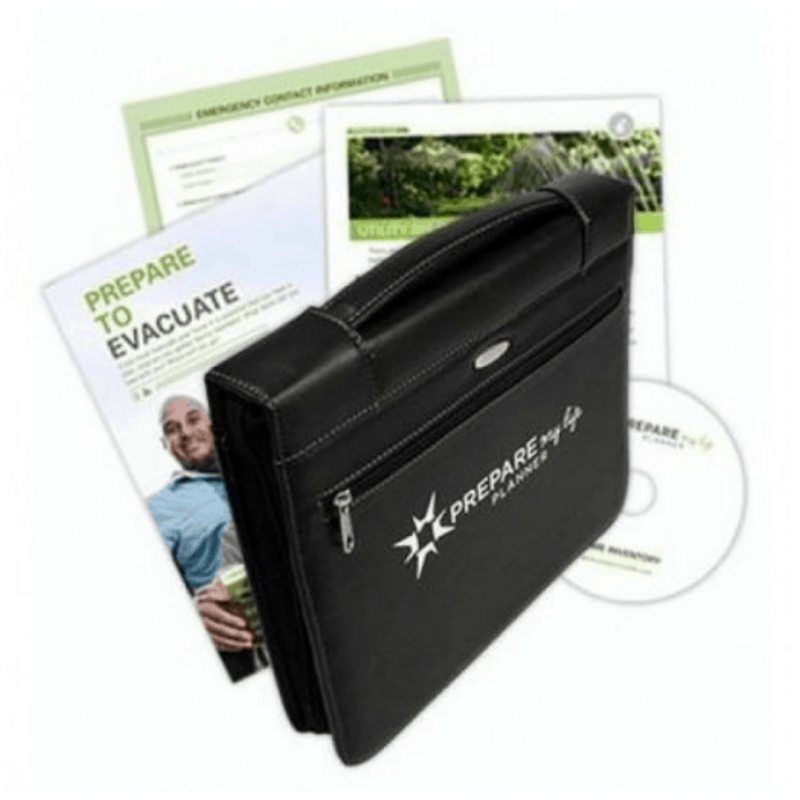 They are easy to work with. 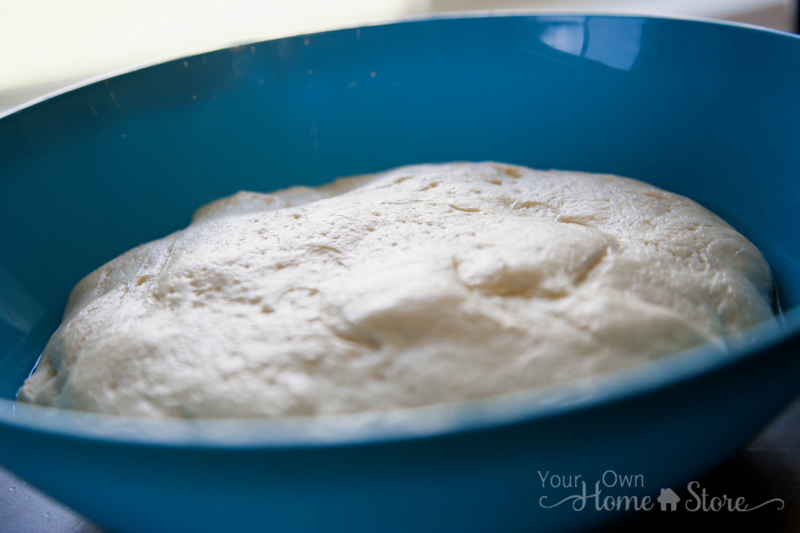 The dough comes together quickly, and is very workable. 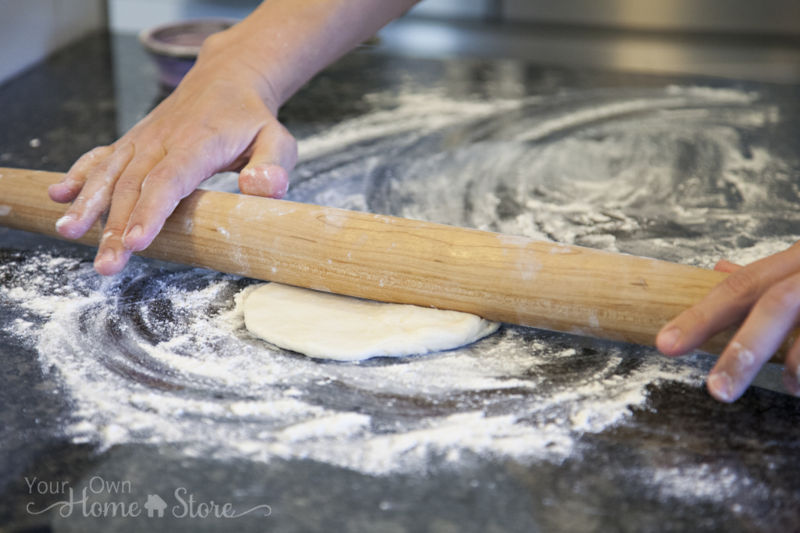 If you don’t want a pocket, roll your dough really thin. If you like pockets in your pitas, leave the dough a bit thicker (maybe 1/4 inch). These can also be made using all-purpose white or whole white wheat flour. 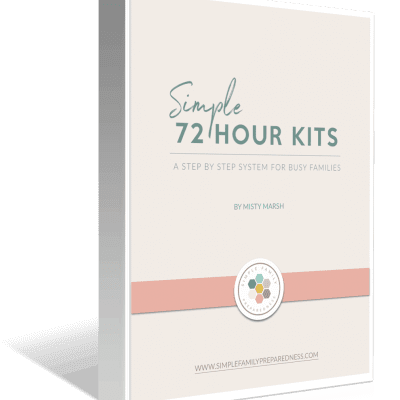 * Some links in this post are affiliate links meaning, at no additional cost to you, I may get a small commission if you make a purchase. 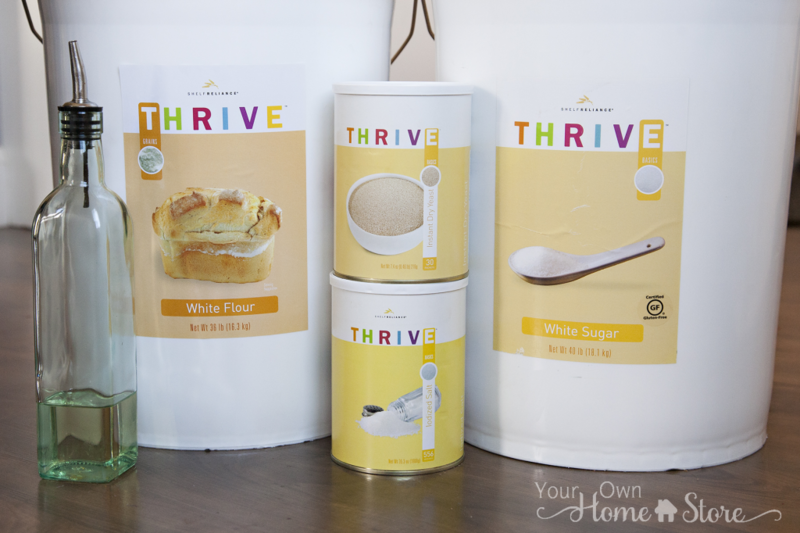 Some links (those to Thrive Life) actually provide you with a discounted price. Thanks for your support in this way! 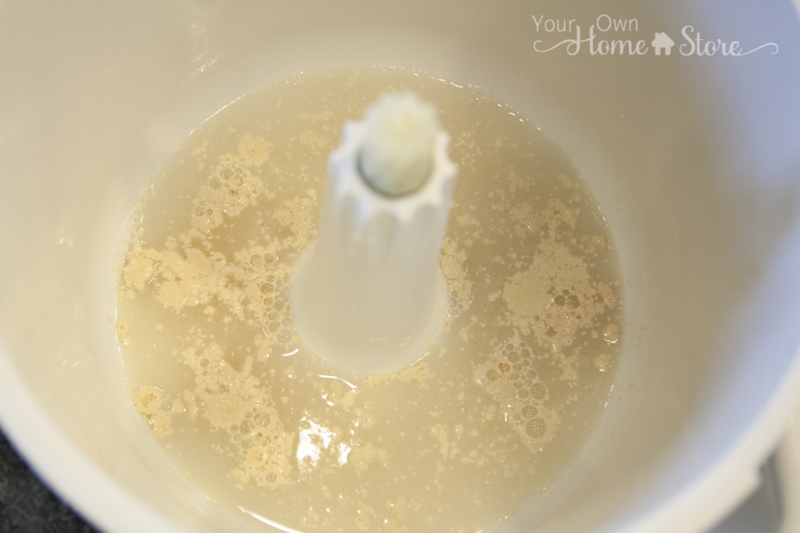 Then, add the hot (but not boiling) water, yeast, and sugar to your mixer. Let that sit for about 5 minutes until the yeast is completely dissolved. Now add the oil, salt, and flour. Start with mixer on low until all ingredients are incorporated. Then increase speed to medium, and leave running for 5-7 minutes until you have a very smooth dough. You may need to add a little flour. Dough should just barely start to pull off the sides of the mixer. It is better to add too little flour than too much. Coat your hands and a large bowl with a bit of olive oil. 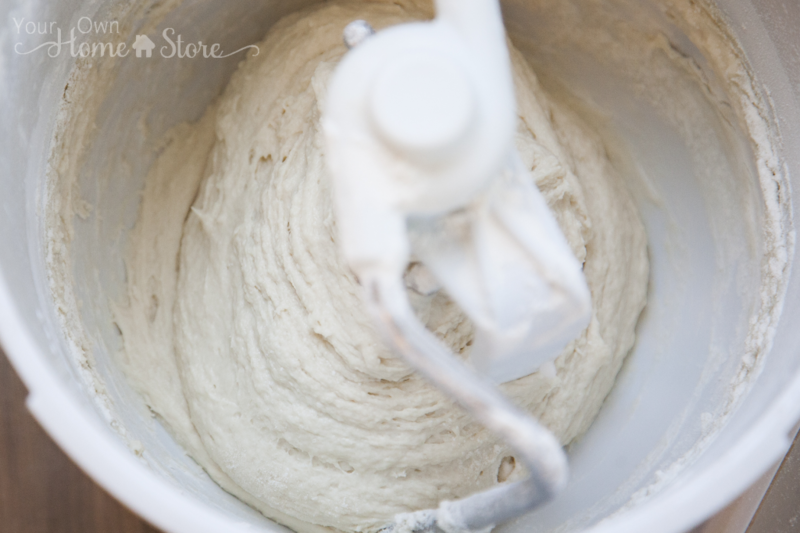 Remove the dough from the mixer and place into the bowl. Cover with a moist towel, and let rise until double (about 45 min to just over an hour). Divide the dough into 6-8 balls. Six is better for a true pocket pita. Or you can even do 10-12 and make tortillas! 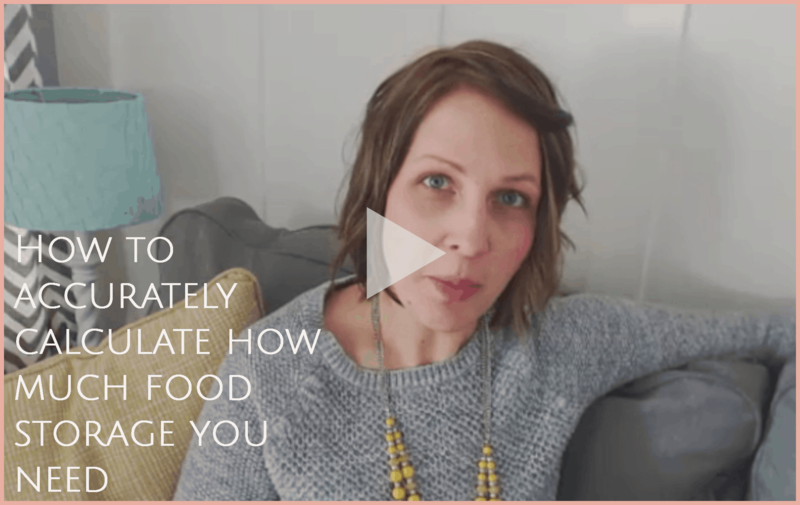 At this point, you can refrigerate your dough for up to a week. 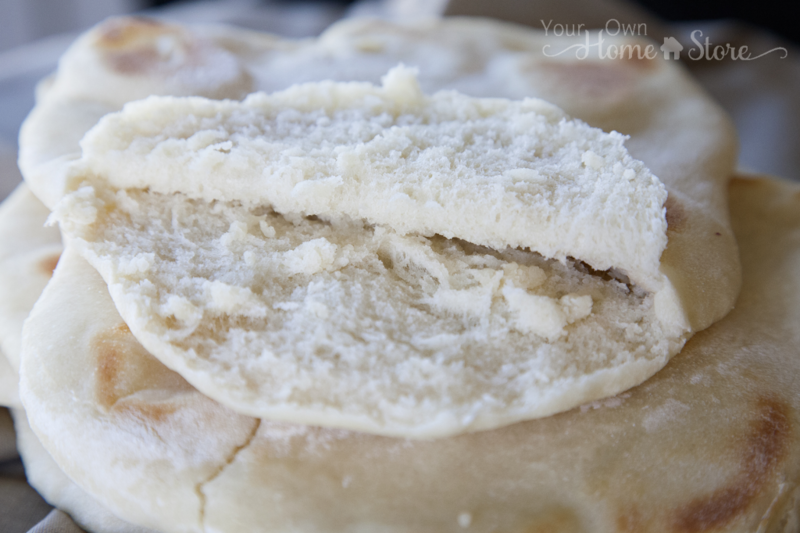 If you want just one pita bread at a time, this is a great option! Using your hands, gently flatten each ball into a disk. Place the first disk on a floured surface, and roll from the center out, until about 6-7 inches in diameter. Again, if you do not want a pocket in your pita, use less dough, but still roll it out to about 6 inches in diameter. 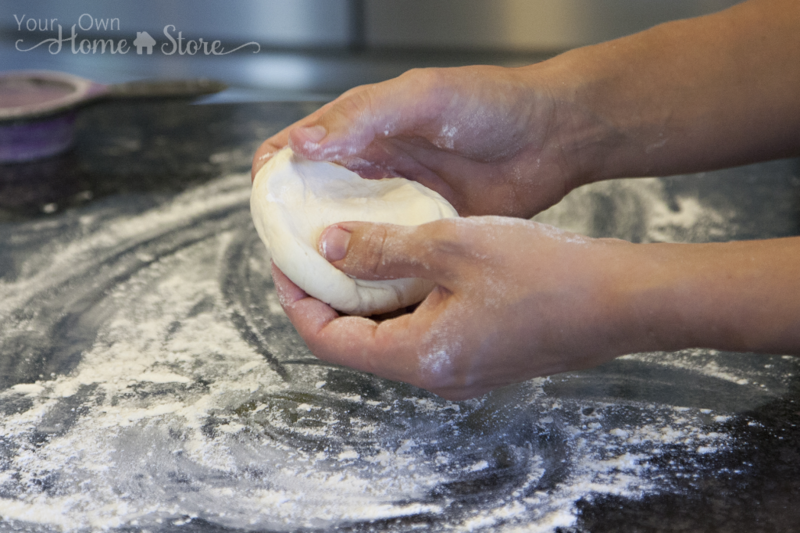 If you do want a pocket, the dough should be about 1/4 inch thick when rolled out to 6 inches in diameter. Warm a cast iron skillet or electric griddle over high heat (you want a hot pan). Once pan is very hot, drizzle a little olive oil in the pan, and then wipe off the excess. 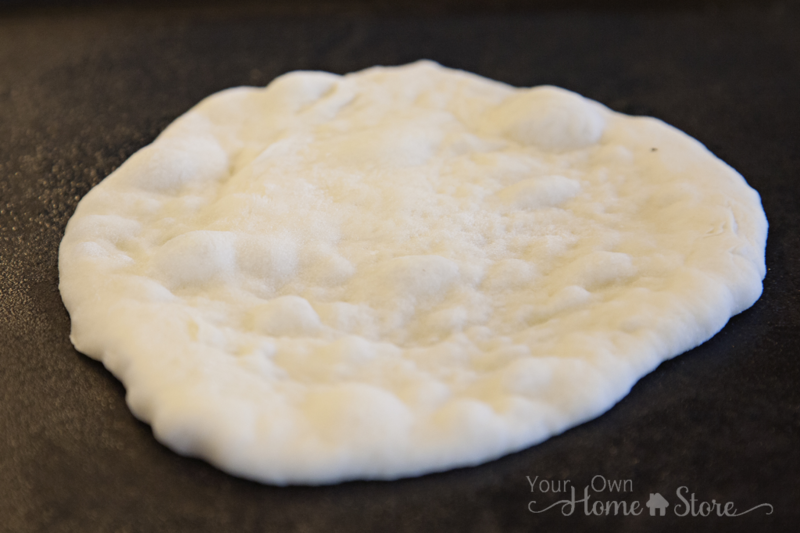 Lay a rolled-out pita on the skillet and cook for 30 seconds, until you see bubbles starting to form. Flip and cook for 1-2 minutes on the other side, until large toasted spots appear on the underside. Flip again and cook another 1-2 minutes to toast the other side. 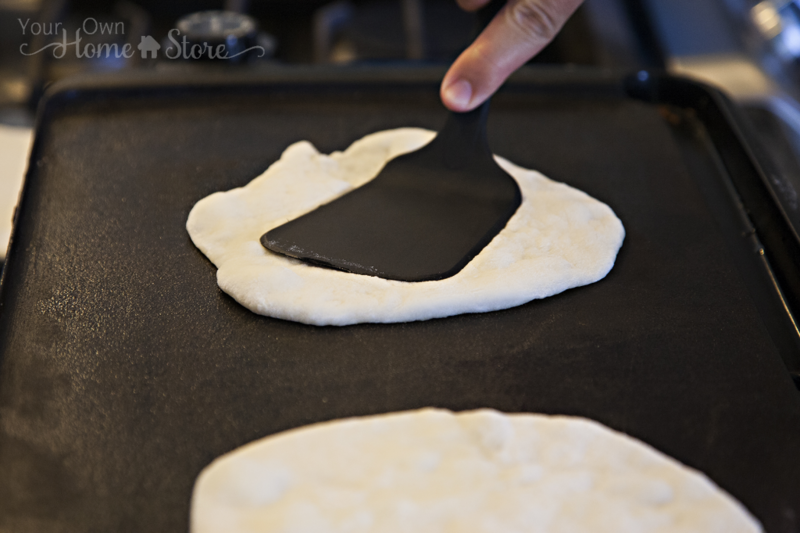 The pita should start to puff up during this time; if it doesn’t or if only small pockets form, try pressing the surface of the pita gently with a spatula or clean towel. Keep finished pitas warm by wrapping them in a clean towel. 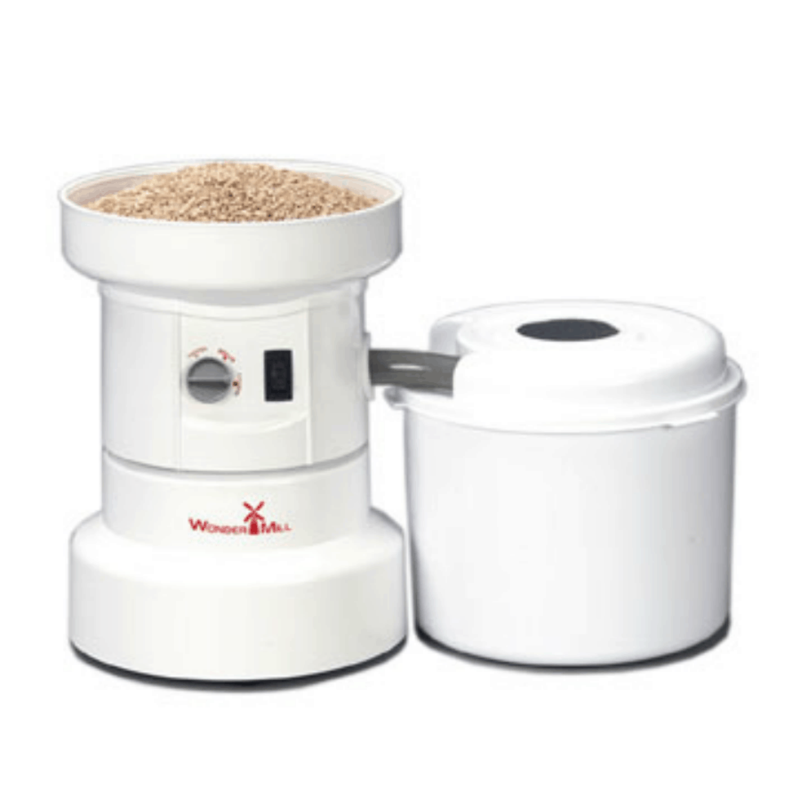 Add the hot (but not boiling) water, yeast and sugar to your mixer. Let sit for about 5 minutes until the yeast is completely dissolved. 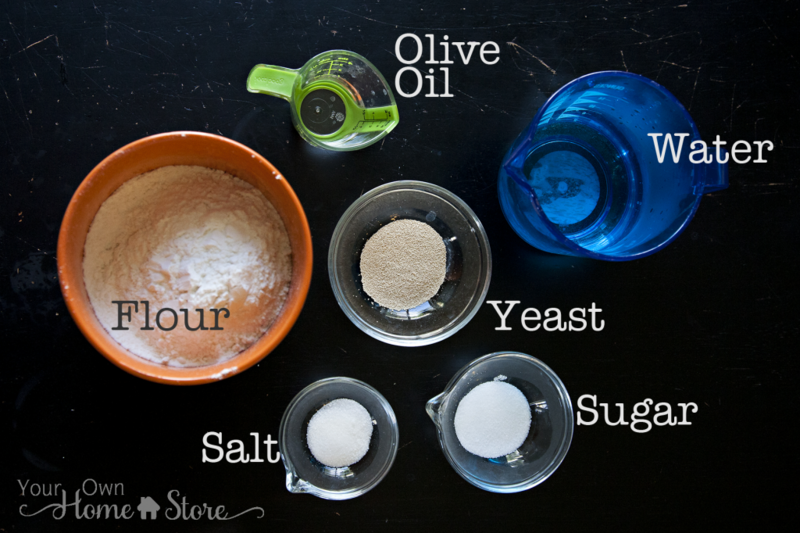 Add the oil, salt and flour to yeast mixture. 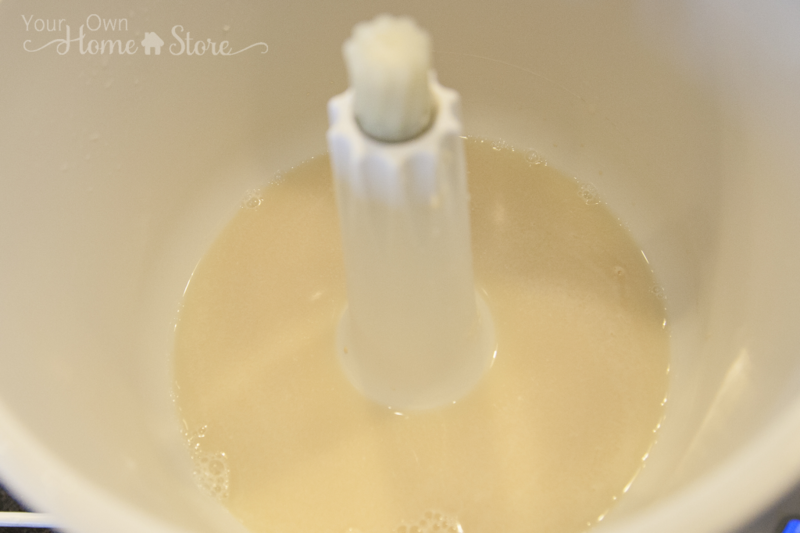 Turn mixture on low and mix until all ingredients are incorporated. Increase speed to medium and leave running for 5-7 minutes until you have a very smooth dough. You made need to add a little flour. Dough should just barely start to pull off the sides of the mixer. Coat your hands and a large bowl with a bit of olive oil. 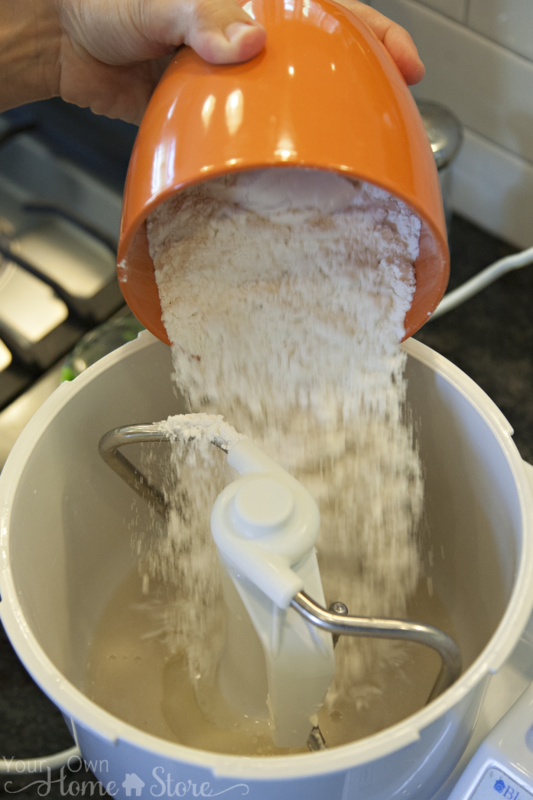 Remove the dough from the mixer and place into the bowl. Cover with a moist towel and let rise until double (about 45 min to just over an hour depending on your home). 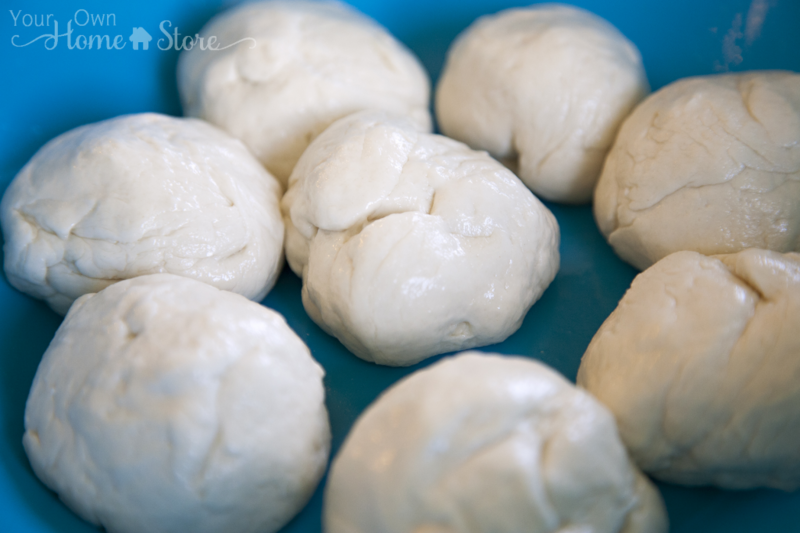 Divide the dough into 6-8 balls. 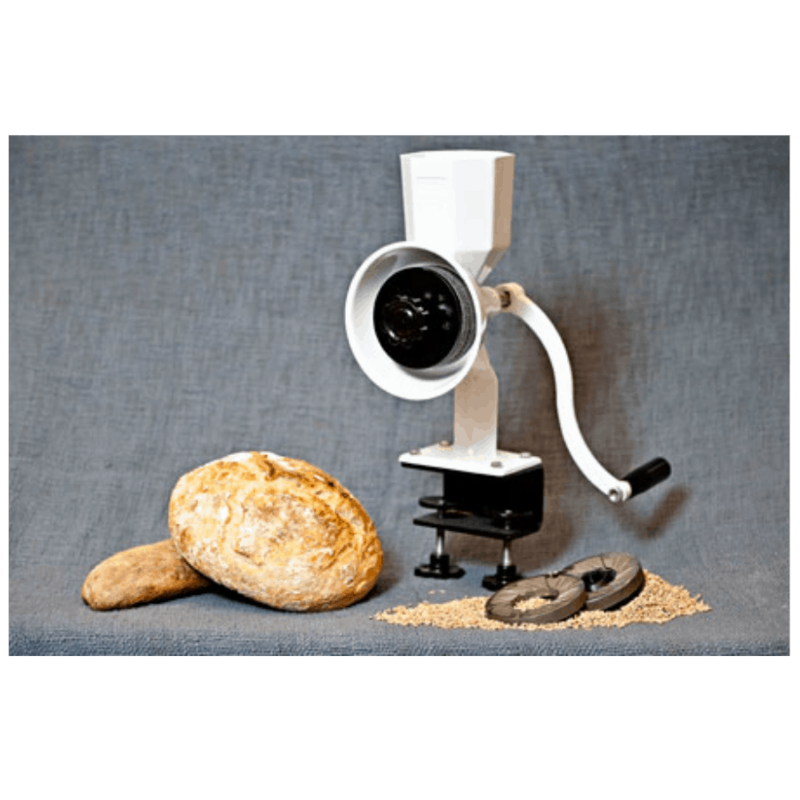 Place the first disk on a floured surface and roll from the center out until about 8 inches in diameter. 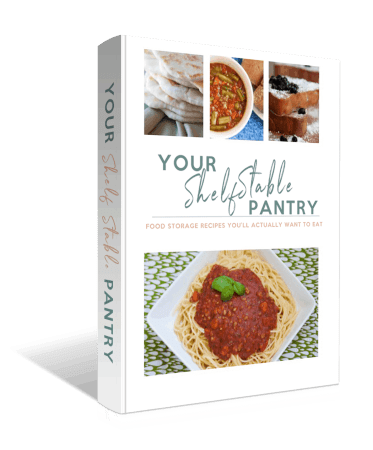 Warm a cast iron skillet or electric griddle over high heat. Once pan is very hot, drizzle a little olive oil in the pan and then wipe off the excess. Lay a rolled-out tortilla on the skillet and bake for a minute or so, until you see bubbles starting to form. Flip and cook for another minute or so seconds on the other side, until large toasted spots appear on the underside. Flip again and cook another 15-30 seconds to toast the first side. 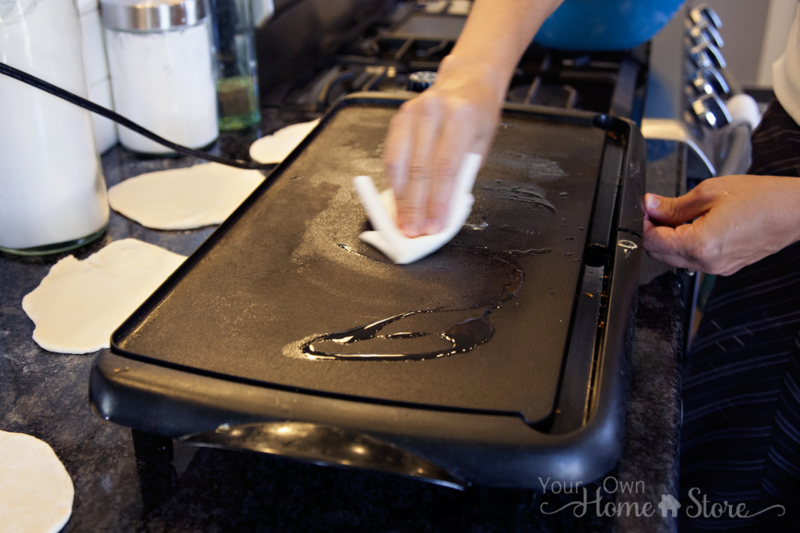 The pita should start to puff up during this time; if it doesn't or if only small pockets form, try pressing the surface of the pita gently with a spatula or clean towel.